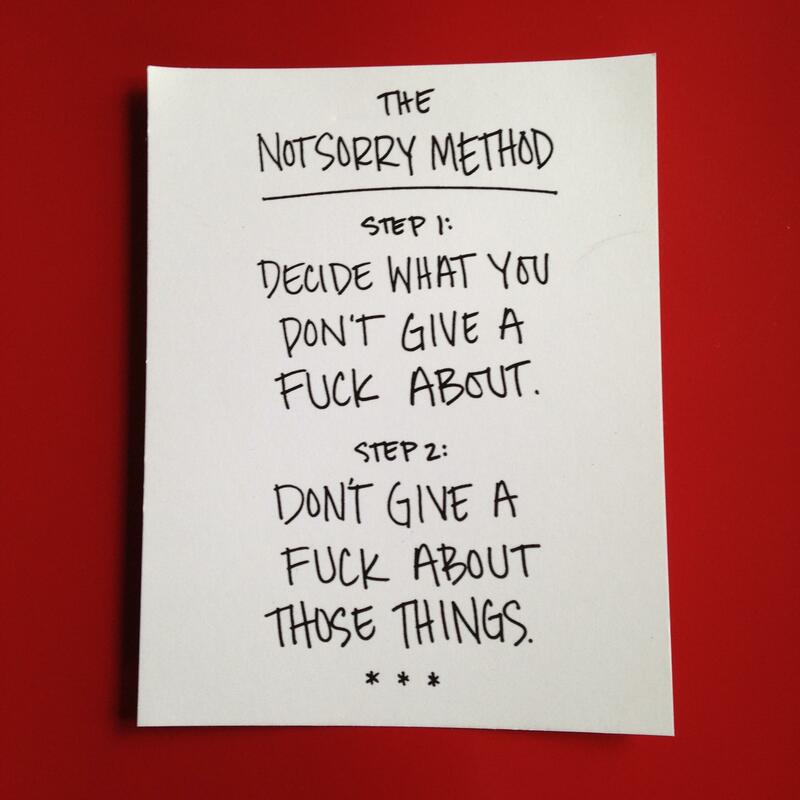 From the internationally bestselling author of The Life-Changing Magic of Not Giving a F*ck, Get Your Sh*t Together, and You Do You, a new No F*cks Given Guide to calming your anxiety and getting back up when life knocks you down. When bad things happen to good people, you don't need to be caught without a plan. Turns out, you can prepare for the unexpected. In Calm the F*ck Down, bestselling author Sarah Knight offers a practical, customizable game plan for taking all bumps on the road of life in stride, no matter how big, small, absurd, or deeply real. From accidents to job loss, breakups to deaths in the family, or even the disappointment that your local grocery store has stopped carrying your favorite ice cream, a toolbox full of customizable tips, stories, and advice is your best armor against the crazy world we live in. In a nerve-wracking era, it's harder than ever to keep yourself together, but Sarah shows you just how to handle everything life throws at you. Told with her trademark irreverence and warmth, Calm the F*ck Down is a call to action against paralysis and an emotional insurance policy for an uncertain future. You might know me from my TEDx Talk, "The Magic of Not Giving a F*ck," which has more than 2,000,000 views and counting. You can watch it here: https://www.youtube.com/watch? v=GwRzjFQa_Og. My first two books, THE LIFE-CHANGING MAGIC OF NOT GIVING A F*CK and GET YOUR SH*T TOGETHER, are both international bestsellers, and the third in the "no f*cks given guides" series is coming in November 2017. It's called YOU DO YOU, and I'll be posting more information on my social media feeds as we get closer to publication!